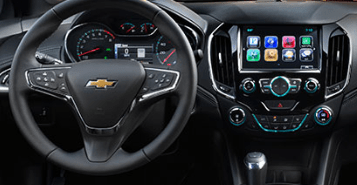 Staying connected in the Cruze is easier than ever now thanks to simple and seamless smartphone connectivity through Android Auto and Apple CarPlay. Interact with all the key apps you need, like navigation and music, displayed right on your vehicle’s touch-screen display for easy access. Although the Cruze is a blast to drive, it’s efficient enough to take you on your next adventure and beyond. 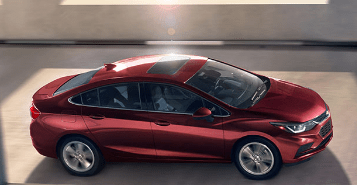 Despite coming with an engine producing as much as 153 horsepower and 177 lb-ft of torque, the Cruze still manages up to 42 mpg highway, which is an incredible display of fuel efficiency. With the Cruze, you get the best of both worlds. No amount of high tech features or premium-level quality can make up for safety. Thankfully, the Cruze has you covered, offering features like Forward Collision Alert. 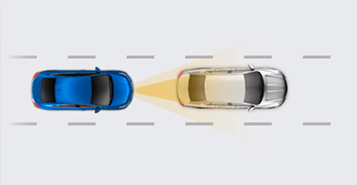 The Forward Collision Alert system does two things. First, it will notify you if you’re following too closely to a vehicle ahead through the Tailgating Alert. If you’re approaching a vehicle so quickly that a collision could occur, the Crash Imminent Alert will signal the need to take action.